Film fans rejoice! North America’s largest documentary film festival, Hot Docs, is set to take over Toronto from April 28 – May 8, with over 200 films from Canada and around the world. Click here to see the lineup of films Touchwood PR is working on this year. If you haven’t yet discovered the amazing world of documentary film, you’re missing out! Documentaries are now more popular than ever; You only need to browse the documentary sections of streaming services like Netflix and CraveTV to explore the plethora of riveting documentaries available to stream. 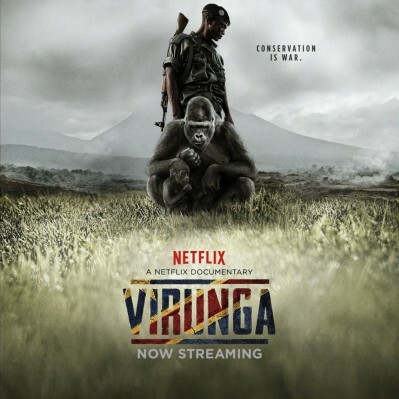 This film tells the true story of a group of courageous people trying to protect the Democratic Republic of the Congo’s Virunga National Park, where British oil company Soco has moved in to explore for oil. With over 140 park rangers killed in the last decade, and a recent assassination attempt on the park warden, lives are risked on a daily basis to protect the park for the sake of the community and the endangered mountain gorillas who call it home. Forget everything you think you know about Mexican drug cartels and the Mexican-American border. Following suave small-town physician and Autodefensas leader José Manuel Mireles, Cartel Land is a riveting, on-the-ground look at the journeys of two modern-day vigilante groups and their shared enemy – the murderous Mexican drug cartels. By now you’ve heard of Edward Snowden, the NSA whistle-blower who revealed documents to the American public on the NSA’s mass surveillance programs. But did you know that he specifically selected director Laura Poitras to document everything as he hid in a Hong Kong hotel and orchestrated the leak of information to the media? CitizenFour is a fascinating look at the NSA information leak from beginning to end. All most of us know about Scientology is that celebrities like Tom Cruise and John Travolta are members of the church, and that it seems to cost a lot of money. Going Clear: Scientology and the Prison of Belief, takes us behind the veil of the mysterious religion with stories from previous members and an in-depth look at its founder L. Ron Hubbard. What would you do if you were locked in an apartment with your family your whole life, hardly ever allowed to go outside? If you’re the Angulo siblings, you obsessively watch and meticulously recreate movies. Needing to be seen to be believed, The Wolfpack follows the seven children of the Angulo family as they live, confined by their father, in a four-bedroom apartment on the lower east side of Manhattan, and dream of escape into the outside world.